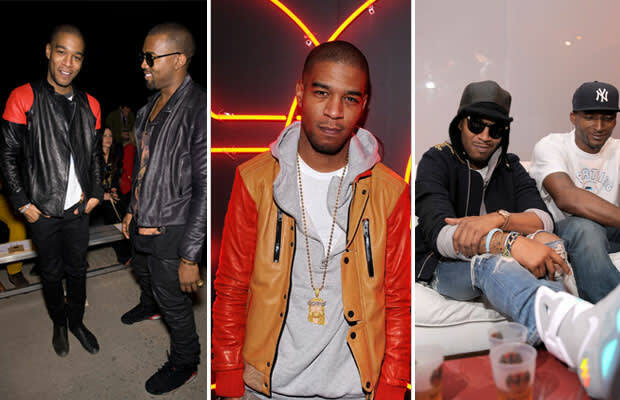 Kid Cudi&apos;s got the notion of a uniform down pat: leather jackets, skinny jeans, and lots and lots of hoodies. Although How to Make It in America just got cancelled, we&apos;re not too worried about the Cleveland emcee. After all, he had enough dough to cop 4 pairs of Air Mags, and rocked one pair to our party celebrating his Complex cover, plus he&apos;s already putting the finishing touches on his next album, WZRD. Did we mention he also came out with his own leather jacket in conjuction with French brand Surface To Air? Yeah, Cudi&apos;s definitely had a good year, and he&apos;s faced it in consistent style.